High intensity interval training (HIIT) workouts are one of the best ways to get your heart rate up quickly while also burning a large number of calories. Another great benefit of these workouts is that they give your metabolism an additional boost for the next day or two. Many gyms are offering classes that specifically focus on high intensity workouts, but thankfully there are plenty of free HIIT workout videos on YouTube that you can do in the comfort of your own home! I have compiled a list of some of these workouts, each varying in length. You will notice that you can do these exercises without any equipment, so you really have no excuse to not try them! Make sure that you do a warm-up before you jump into the high intensity part of the workout so that your heart has a chance to get ready for what is about to come. Remember, these workouts aren’t meant to be easy. They are physically challenging and you may find yourself coughing from the lactic acid buildup or getting the jello feeling in your legs or other body parts as you go through the motions. These symptoms are normal when you are doing exercises at this caliber. Be aware of your limits and take it a little easier if you feel yourself getting lightheaded or nauseous. Important Note: HIIT workouts are not meant to be an everyday thing. Instead, try incorporating this training into your routine two to three times per week. For the other days, choose a different form of training so that your muscles and lungs have time to recover and build. But seriously… I could barely feel my legs after this one. As sore as my muscles are after the fact, I secretly enjoy the feeling because it’s a sign that my body is becoming stronger. Cassey Ho, Blogilates founder and instructor, does a great job of talking you through this tough exercise sequence so that you push yourself to the limit. Want to learn more about the free HIIT workout videos or Pilates routines offered by Blogilates? Check out my review here. Oh the dreaded ladder workout – always a tough one to complete. I am a big fan of Fitness Blender (review here) because they have a variety of exercises for people at all levels. I chose this specific video because it’s a short 20 minutes, but your body and lungs will be burning by the end of it. Kelli and Daniel, Fitness Blender founders, have tons of free HIIT workout videos on YouTube to choose from if you find this one to be too difficult for you. If you’re familiar with Bodyrock.tv, then the Daily HIIT won’t be anything new for you. I remember when I first completed this exercise routine – I could barely make it through some of the rounds, especially those that focused on arms. Before taking on this challenging 12 minute routine, make sure you get a warm-up in because the first round of exercises starts off quite intense. 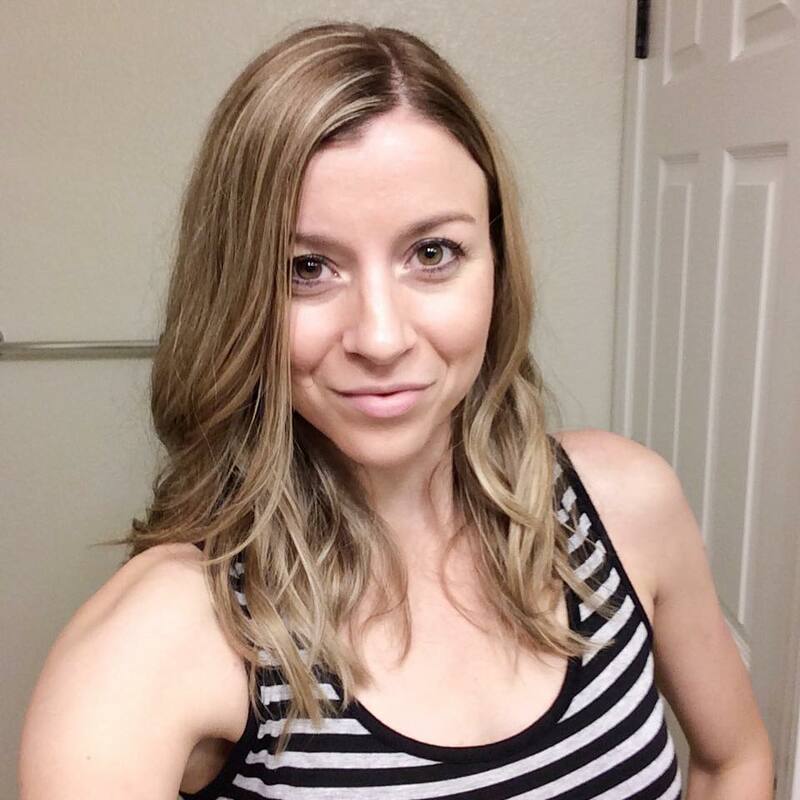 Jessica Smith is a trainer and SHAPE magazine contributor who has posted several workouts, including free HIIT workout videos, on YouTube. This video is 30 minutes of constant motion so that your heart rate stays high the entire time. This is great for burning the most amount of calories possible, as well as burning fat! Jessica does a great job of telling you how to complete each exercise with proper form. I find her style to be encouraging, but not too over the top. This video is very easy to follow along with. I will say that I miss having someone encouraging me and talking to me along the way (Blogilates and Fitness Blender do this), but I still think that this 40 minute exercise is one of the best free HIIT workout videos for getting your heart rate up. Similar to the other videos I’ve posted, this routine requires no equipment, and do you know what no equipment means? No excuses! Simply turn on some music, put on your workout clothes, and press play. You can do this! I’m warning you in advance – Jillian Michaels does not take fitness easy. Be prepared for 55 minutes of strenuous activity if you decide to take on this video. I was sweating everywhere by the time I was done, but I was proud of myself for sticking with it the whole time. Finding free HIIT workout videos on YouTube by Jillian Michaels was a great find because oftentimes you have to purchase her DVDs or sign up for her workouts. Thanks to the BeFiT channel, this video is available without any strings attached. Make sure you bring your ‘A’ game and get ready for an hour-long calorie burning session! • Cool Down – Your body needs to have a little recovery time after such intense activity. You can find cool down videos on the internet that will lead you through some simple motions and stretches. Don’t rush this process because skipping this step could result in injuries. • Hydrate – You lost a lot of fluids from all the moving around you did, so make sure you grab some water and rehydrate your body. I know there are contradicting statements about whether you should have a sports drink or not after losing so much sweat. My theory is that everything is okay in moderation, but I would recommend staying away from drinks that have tons of sugar in them. Ultimately, water is always the best option because it has no calories, no sugars, and it’s natural to your body. • Eat Something – You just accomplished a huge feat and you may feel a little exhausted, so make sure you grab something to eat. Go for foods that have some protein in them if you can. I like to slice up a banana and eat it with peanut butter, but there are plenty of other options to choose from. Again, I would avoid anything high in sugar content because that will probably make you feel sick. 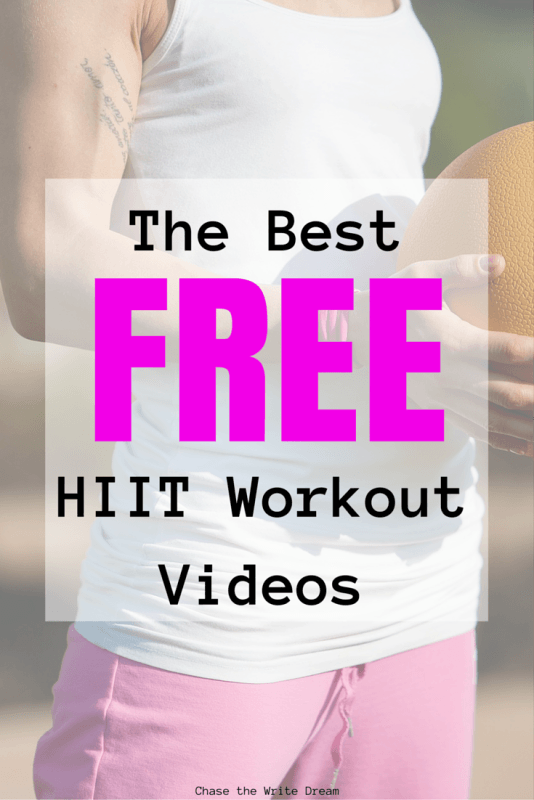 I hope that some of these free HIIT workout videos will help take your exercise to a whole new level! Even if you can only fit in a ten minute workout each day, that is better nothing. I promise that if you put forth the effort and push your limits a bit, you’ll see results. Love this post. Thanks for the great work out ideas. I’m always looking for HIIT videos! I am on diet now, so these videos are very useful for me. Great post! I hope you enjoy them Ilona! I was gasping for air by the end when I did them! I’ve never done a HIIT workout before, but I love that most of them are relatively short and sweet. I’ve never been good at cardio and I hate agonizing workouts. These seem fun! I hated HIIT workouts when I started doing them, but I became so much stronger in less time than I did with running and everything else. They truly do work! Thanks for sharing these videos. A friend of mine swears by working along to YouTube videos. I just rejoined the gym but in between hitting the gym, these videos would be great. These workouts sound so intense, but I kind of want to try them haha. I’m trying to develop an excerise routine after not having one for quite a while. They are definitely intense but so very worth it! I would start with the shorter ones, see how you feel, and then work your way up. Let me know how it goes! I do yoga and that’s about it. Keep up the good work here!! I haven’t tried HIIT workouts yet…am not sure if I am ready for it or not! I will keep them in mind and am glad to have these links ready to go! Thanks! This is great! Thanks for posting. I am always looking out for new interval training workouts! I am starting Kayla Itsine’s workouts and this is definitely pushing me in the right direction!! I need to get back into the routine of being pushed during workouts… Gotta get ready for summer! Thanks for this! I’ve been looking for a video to get motivated and back into a work out routine, and I think these might just do the trick. I find the HIIT workouts to be motivating because they push you to do so much more than you ever thought possible!